Tutomesh® 0.5mm Perforated is a tissue matrix derived from thin, yet strong, bovine pericardium, essential for creating an optimal post operative cosmetic result in reconstructive surgery. Perforated – Tutomesh® 0.5mm Perforated is a perforated tissue matrix. This offers an option for improved fluid movement (such as seroma) away from the implant. This can allow a reduction in the number of drains used during surgery techniques. Incredible Pliability – A tissue matrix derived from incredibly thin yet amazingly strong bovine pericardium. This creates the ultimate in strength yet incredible conformability to the patient anatomy and breast implants. This is essential for creating an optimal post operative cosmetic result in reconstructive surgery. Optimal Remodelling – The nature of the thin tissue combined with the collagen structure allows a very rapid conversion to vascularised host tissue. Host integration is seen throughout the matrix in less than three months. An optimal time for integration or second procedures when a DTI technique is not used. Fortiva® 1mm Tissue Matrix is a next generation tissue matrix derived from porcine dermis. The thickest in our range for when the patient requires a thicker barrier between the implant and the surrounding tissues. Consistently Thicker Matrix that Stays for Longer – Ideal for patients where you require incredible implant strength that is long lasting. Processed through a delicate proprietary system that prevents tissue integrity, combined with a special finishing process that delivers more consistent thickness means less patient to patient variance and less in-patient variance for bilateral procedures. No Preservative Chemicals – Our matrices are processed through a delicate proprietary system, which helps retain key implant properties. From packet to patient Fortiva® Tissue Matrix is ready to use right from the pack. Fortiva® Tissue Matrix is stored in pharma grade saline, eliminating the need to wash away any harsh chemicals, polysorbate 20 or phosphate buffers. Fortiva Tissue Matrix 1mm Perforated combines the features of Fortiva Tissue Matrix 1mm with the ability to improve the circulation of fluids. 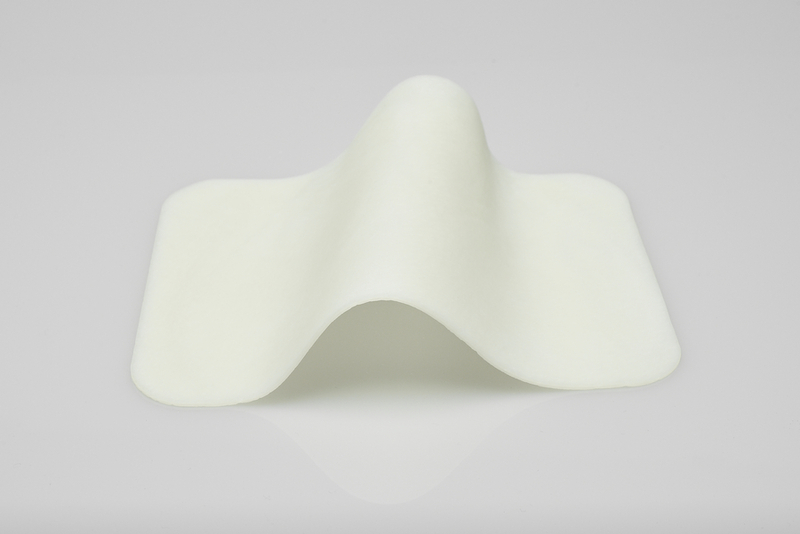 Greater strength, long lasting support and perforations for the reduction in drainages make Fortiva Tissue Matrix 1mm Perforated an ideal option in breast reconstructive surgery. Consistent Thickness – Cortiva® 1mm allograft dermis with more consistent thickness means less graft to graft variance which is essential for bilateral procedures. Unique Processing – A unique sterilisation process which includes low does gamma irradiation preserves the native tissue structure without the need for harsh preservation chemicals or phosphate buffers. pfm medical UK Ltd. Suite 3, Armcon Business Park, London Road South, Poynton, Cheshire, SK12 1LQ. All rights reserved.